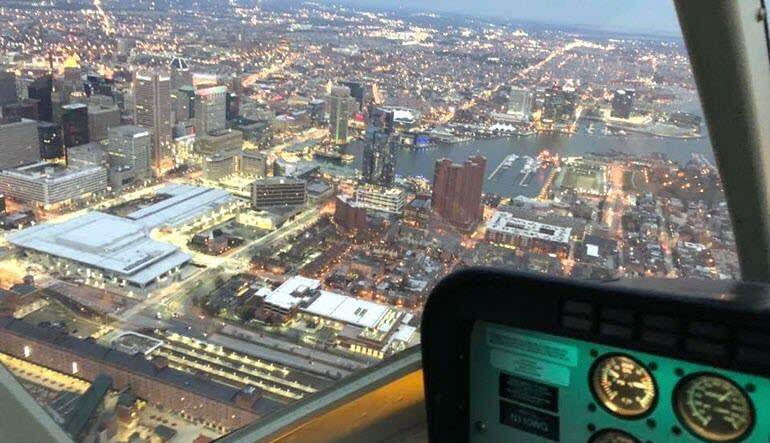 On this scenic Baltimore helicopter tour, 20 minutes of flight time unveils over two-dozen striking landmarks and sites! 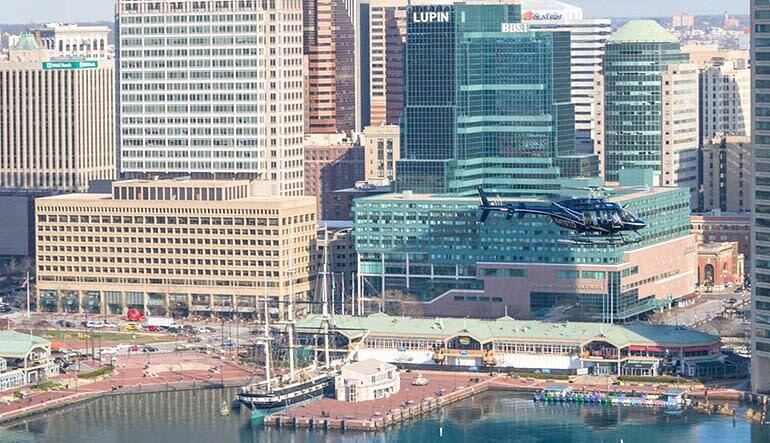 On this scenic Baltimore helicopter tour, 20 minutes of flight time unveils over two-dozen striking landmarks and sites! Get amazing port views, see the skyline, explore historic stretches and so much more! Enjoy a 20-minute Baltimore helicopter flight in a Bell 407 or 206. See the Natty Boh Sign atop Natty Boh Tower. Travel to Patterson Park, Johns Hopkins Hospital and Fells Point. Head to Camden Yards for some photo opportunities of the Oriole’s Stadium. Continue on to the M&T Bank Stadium (GO RAVENS!). 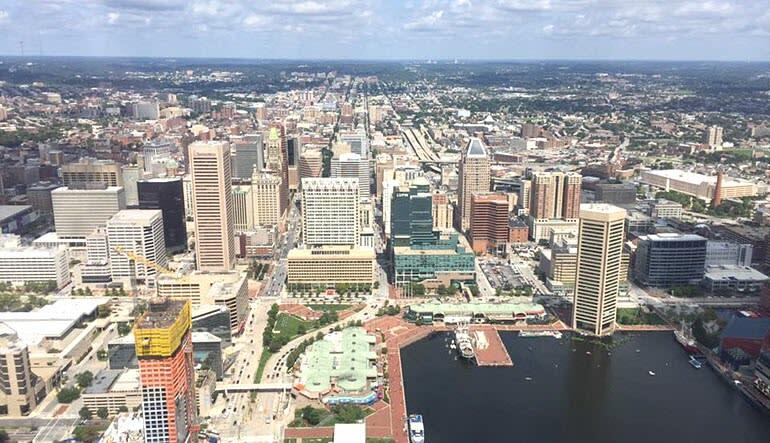 Swoop over Mount Vernon to the Inner Harbor and Baltimore Aquarium. Snap shots of Domino Sugar sign. Get amazing views of the USS Constellation and the USS Torsk! You’ll ride comfortably in a seven-seater Bell 407 helicopter, the only tour helicopter of its kind in all of Baltimore (it’s the only turbine chopper of its kind too!). Enjoy smooth flying, lots of space and the best vantage points imaginable!